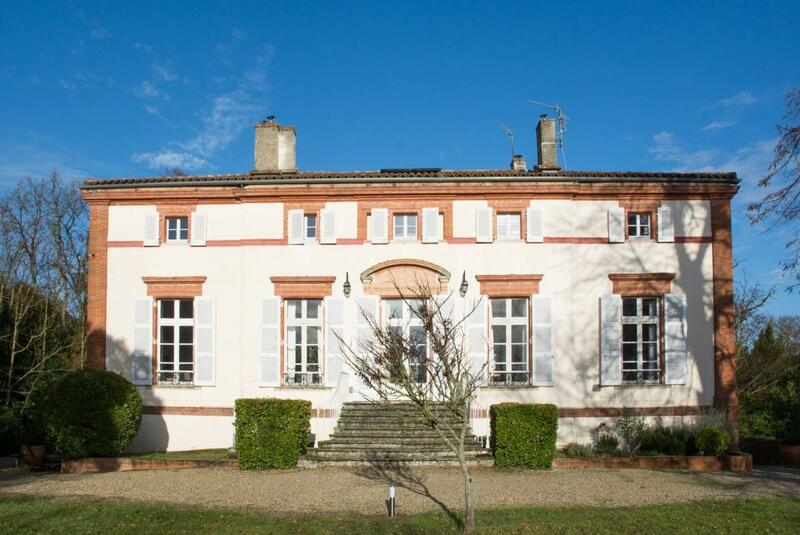 Set in a lovely village just outside Toulouse and a few kilometers from Carcassonne, Albi and the beautiful villages of the Lauragais, this property is situated in an ideal location to discover the great cultural variety of the Occitanie region. Large grounds of 5.7 acres, rose garden and heated saltwater swimming pool. Easy walk to nearest restaurant. 10 minutes drive into centre of Toulouse. Great location for large family or friends' reunion, and perfectly suited to host large groups in a very comfortable way. FLEXIBLE CHANGEOVER DAYS Possibility of renting ground-floor with two double bedrooms only out of high season. Set in a lovely village just outside Toulouse and a few kilometers from Carcassonne, Albi and the beautiful villages of the Lauragais, this property is situated in an ideal location to discover the great cultural variety of the Occitanie region : the Cité de l'Espace, Airbus, and of course Carcassonne Medieval city. Walking down the side alley to the right a boules field is waiting for its players under the trees, further away in the garden, a large 12m x4,5m saltwater and heated swimming pool is set in the sunshine and surrounded by a grass lawn. Linen and end of stay clean 250€.